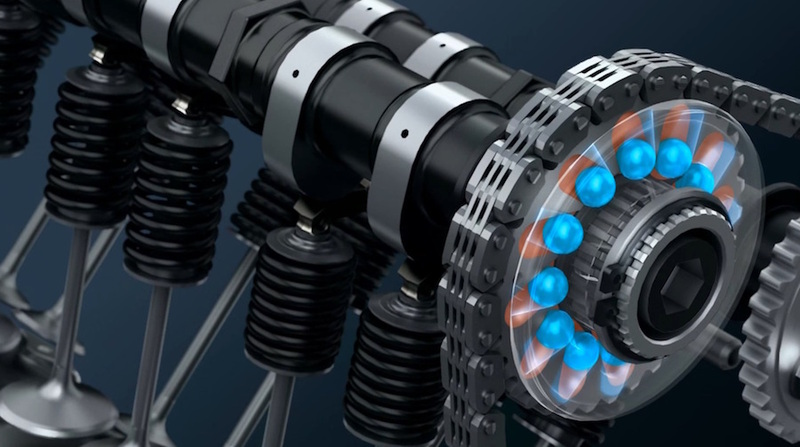 For more than 30 years cars have adopted a variety of different variable valve timing and lift technologies as their makers battled the conflicting demands of customers who wanted both more performance and improved economy, all the while governments have demanded reduced emissions. On two wheels, the same technology has been slow to take off, but finally the same pincer movement of legislation and customer demand is closing in on the motorcycle industry. We’ve already seen the first machines to appear with variable valve tech. 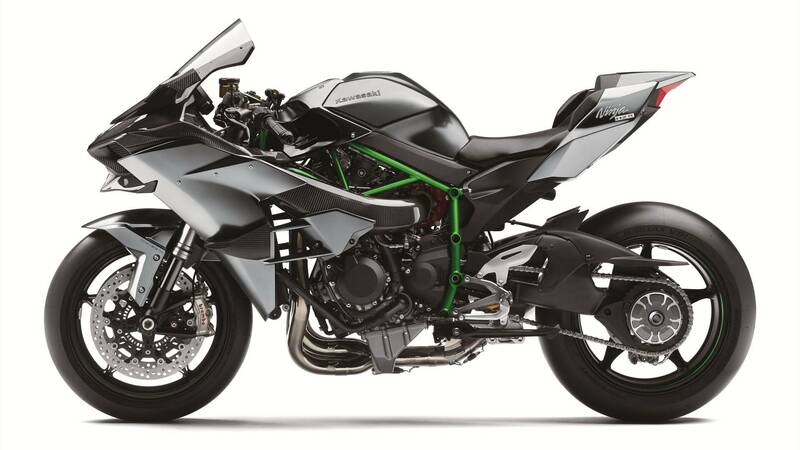 Kawasaki’s 2006-on GTR1400 debuted a modern, car-style variable intake valve timing system and since 2015 Ducati applied the same thinking. Come 2017, Suzuki joined the fold with the GSX-R1000. While Ducati was taking the plaudits for applying variable valve timing to the high-profile Multistrada and Diavel, 2015 also saw the Yamaha’s significant but low-key adoption of variable valve timing and lift on a two-wheeler when it applied its own ‘VVA’ system, applied to the NMAX scooter. But 2019 is a turning point. Yamaha’s VVA arrangement has finally been applied to a ‘proper’ bike – the YZF-R125 – and BMW has added variable valve timing and lift to both its boxer-engined R 1250 range and to the all-new S 1000 RR superbike. Meanwhile, patents show Honda and Suzuki are hot on their heels. Internal combustion engines are constantly compromised. One moment they’re asked to trickle through traffic at idle. The next they’re screaming past 10,000rpm. And if they don’t seamlessly make the transition from one state to the other we’ll be the first to haul them over the coals. Throughout all this they need to comply with emissions rules and each new generation is expected to be faster, smoother, more powerful, torquier and more efficient than its predecessor. Variable valve timing is one way to achieve these goals. Remember the basics of the four-stroke cycle. On the intake stroke the intake valves are open. For the compression stroke all the valves need to be closed, and they stay that way for the combustion stroke. During the exhaust stroke the exhaust valves open to let the waste gasses out. The valves themselves are opened and closed by off-centre lumps on the camshafts called lobes. Since the engine completes two full revolutions during one four-stroke cycle, the camshafts are geared to spin at half the speed of the crank. When your bike is doing 10,000rpm, its camshafts are turning at 5000rpm. The problem is that valves take time to open and close fully, and gas has inertia that needs to be overcome to start moving. The exhaust valves need to start opening before the end of the combustion stroke and stay open into the start of the intake stroke to let the cylinder empty completely. The intake valves begin to open before the end of the exhaust stroke and don’t close until after the compression stroke has started. That means there’s a period when both the intake and exhaust valves are open; overlap. Valve overlap is vital, but the ideal amount of overlap changes depending on revs. At high revs lots of overlap helps an engine run well. But at low revs the same overlap can let unburnt fuel into the exhaust, harming emissions and economy. And it can allow exhaust gas to get back into the intake, contaminating the fresh charge and slowing intake velocity. On a race engine it’s not a problem but on a superbike that you want to run as well at 1300rpm as it does at 13,000rpm, it’s a big challenge. But let’s have a look at how the existing systems work and how they stack up against each other. Honda pioneered variable valve timing and lift on its cars in the late 1980s but its genesis was in the REV system used on the 1983 CBR400F. Unlike a true variable valve timing system, REV was actually a ‘valve-pausing’ setup. It only had one set of cam profiles, but the cams acted on their valves via two-piece rocker arms. At low engine speeds only one intake and one exhaust valve open. At higher revs a metal pin is inserted, via oil pressure, to link the two halves of the rockers together, bringing all four valves into operation. It’s not really VVT. Timing, overlap, duration and lift are unaltered, but by disabling two valves in each cylinder at low revs, the valve area was halved. That meant a racier cam profile could be used, while gas velocities were still kept high at low revs. 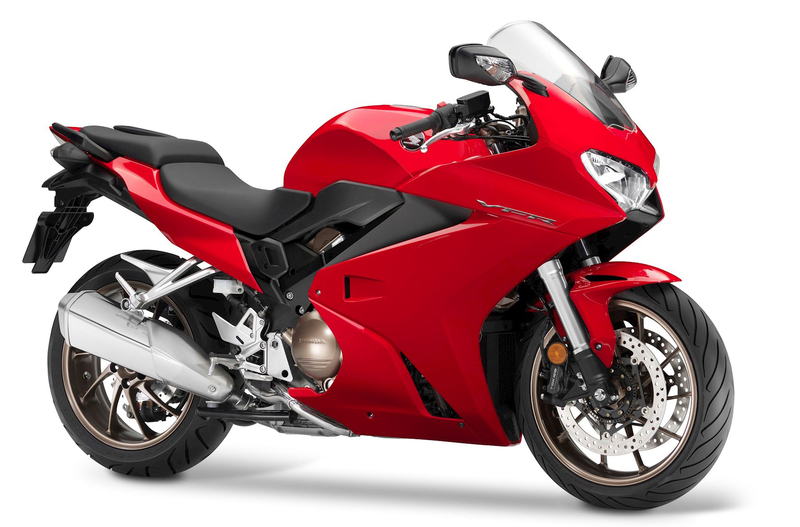 Hyper-VTEC, used on bikes including the VFR800, is a development of the REV system. Instead of rockers it uses buckets and shims, but there’s still slide-pin system to deactivate half the valves at low revs. VTEC (used in cars) is a foreshortened acronym for ‘Variable valve Timing and lift Electronic Control’ but despite its similar name, Hyper-VTEC remains a valve-pausing system rather than a real VVT setup. Kawasaki’s GTR1400 was the first production bike to adopt the sort of cam-phasing system that was first seen in cars as far back as 1980 in the Alfa Romeo Spider. It uses a variator (or cam-phaser) attached between the intake camshaft and the camshaft sprocket. The sprocket side of the variator has four trapezoid-shaped chambers inside, and the half attached to the camshaft has vanes that fit into these chambers. By diverting oil to one or other side of the chambers, using ECU-controlled solenoids in the oil system, the camshaft’s timing can be adjusted by a few degrees. It’s the cheapest and simplest form of VVT on the market and many cars use the same idea. 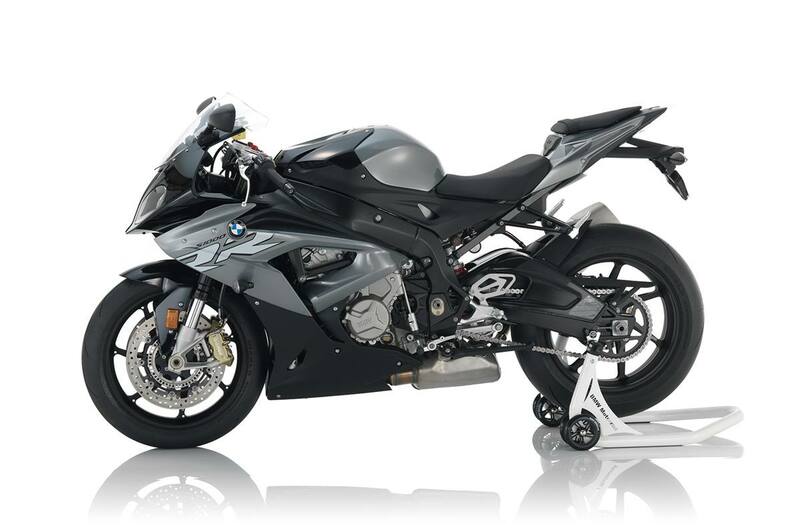 It offers seamless transition between retarded and advanced cam timing, and requires relatively few other engine mods – the GTR’s motor is derived from the fixed-timing ZZR1400 unit. However, it’s still only able to alter timing, not lift. 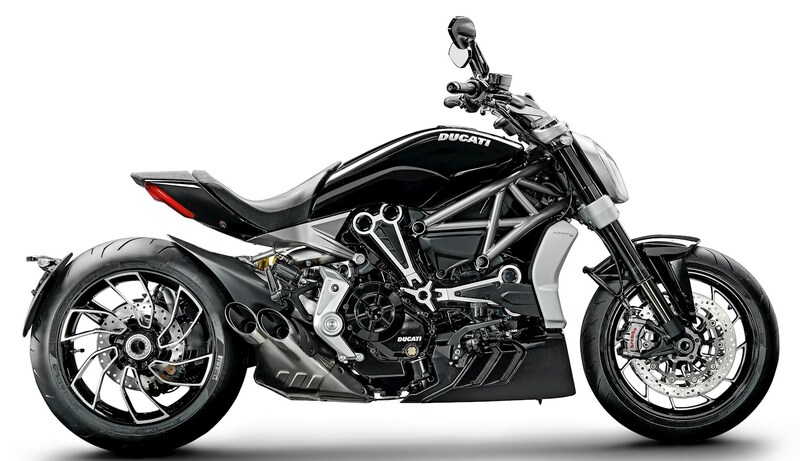 Ducati’s DVT system, used on the Multistrada DVT and the latest Diavel and XDiavel models, is basically the same as the Kawasaki setup, with a similar hydraulic variator to alter the cam timing (albeit one three vanes and chambers rather than four). The main difference is that Ducati uses variators on both the intake and exhaust cam shafts, giving a wider scope to alter the all-important overlap. 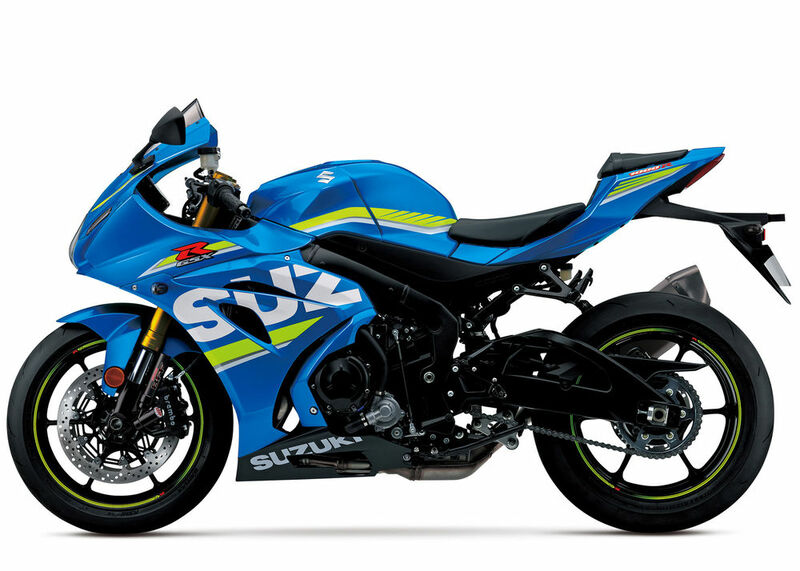 Suzuki’s GSX-R1000 is another bike to use a cam-phasing VVT system. Like the Kawasaki GTR, it alters only the intake cam timing, but it’s unique because it doesn’t rely on any hydraulic or electronic controls. The SR-VVT system was initially designed for the GSX-RR GP bike to skirt MotoGP rule banning electronic or hydraulic VVT. 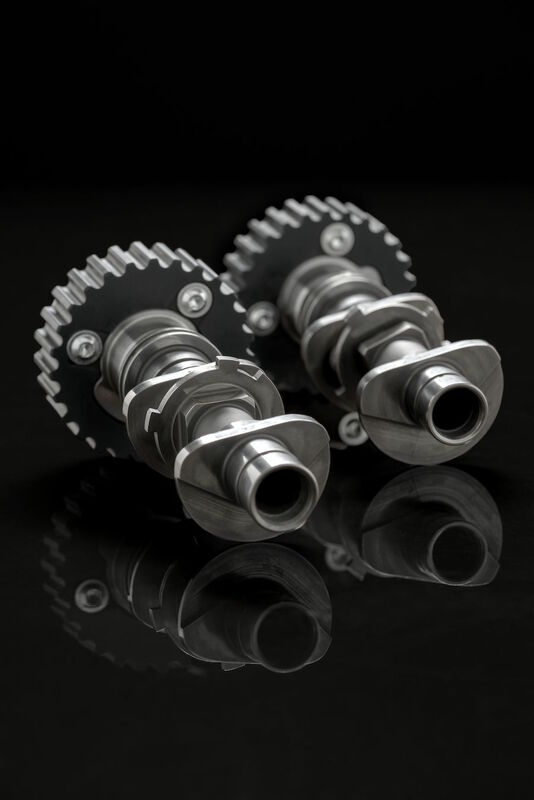 Instead of using oil pressure to rotate the intake camshaft in relation to the sprocket, the system uses steel balls that sit in grooves machined into both halves of the variator. 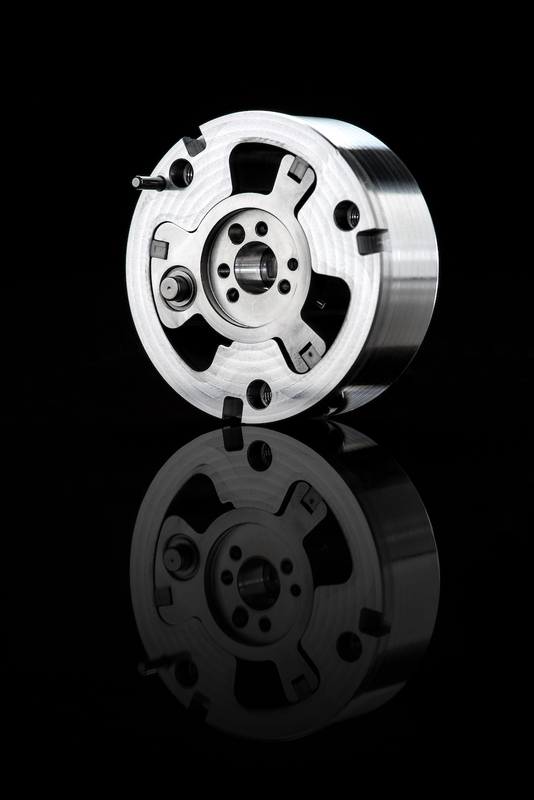 On the sprocket side, those grooves are curved, while their counterparts on the camshaft half are straight, but ramped to be shallower at their outer ends. Springs hold the two halves together. The result is that at low speeds, the balls sit towards the centre of the variator, but as revs rise they are flung outwards in their grooves. The curved grooves on the sprocket side mean that the cam timing is advanced when that happens. Although a clever way to circumvent MotoGP rules, the Suzuki system has no electronic control over when the valve timing is changed; a disadvantage compared to hydraulic equivalents. One of the most advanced variable valve systems ever seen in a bike is also one of the oldest, and least well-known. An option on the ‘V’ versions of the 1990s Bandit 400 and RF400R, it worked very much like the VTEC systems on Honda’s cars, switching between two completely different cam lobe shapes to alter valve timing, overlap, lift and duration. 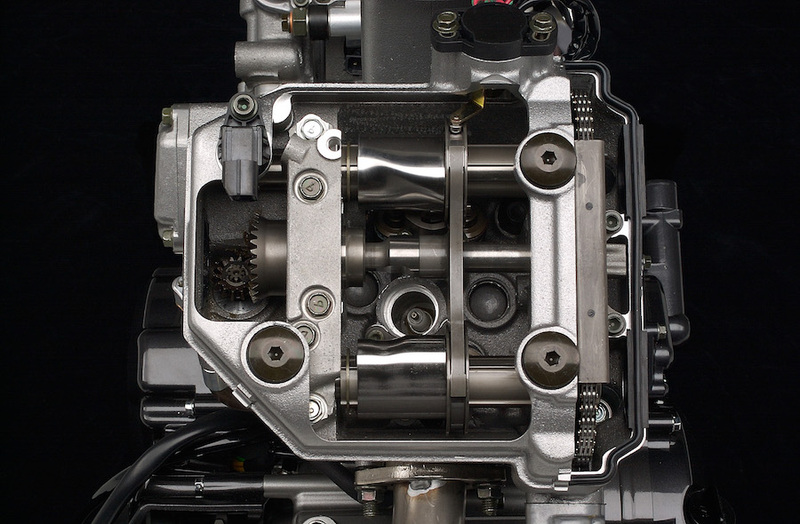 While VTEC used oil-pressure-operated pins to connect rockers together to activate its high-rev lobes, the Suzuki setup featured a moving pivot point for its rockers. Shifting the pivot’s position in the head would bring the high-lift, long-duration, advanced-timing lobes into play on the valves. In some ways it’s still more advanced than even BMW’s 2019 system, since it worked on both intake and exhaust camshafts. On the downside, it’s bulkier than the BMW system. BMW’s ShiftCam setup, introduced on the 2019 R 1250 range and S 1000 RR, is something of a revolution. As its name suggests it works by shifting the cam lobes. The key is that the cam lobes aren’t solidly attached to the camshaft – instead they’re on an outer sleeve that runs on a splined centre shaft. That means BMW can put two sets of lobes onto the sleeve – a high-lift, advanced-timing, long-duration set for high revs and a low-lift, retarded-timing, short-duration set for low revs – and simply slide the sleeve to put the required lobe into position above the valve. 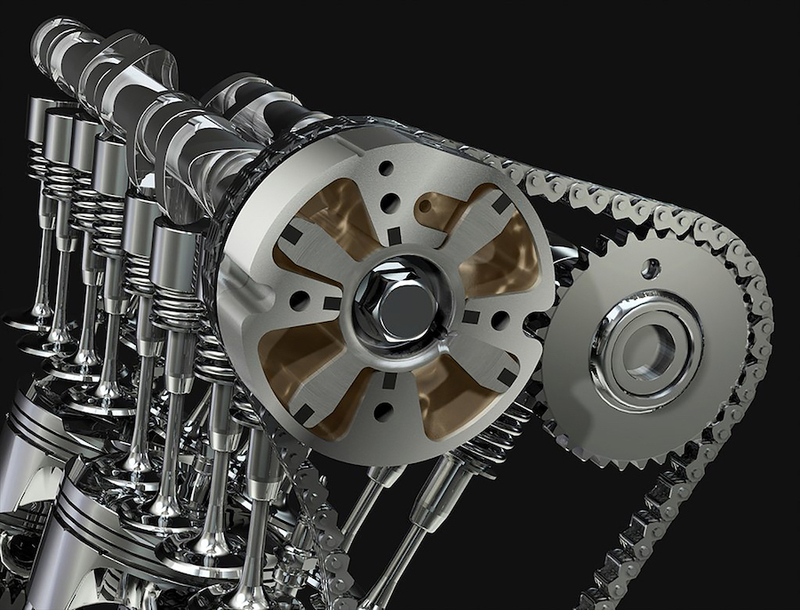 No need for extra rockers or hydraulically-operated variators, and all the advantages of variable valve timing and lift. A solenoid-operated pin inserted into a spiral groove in the camshaft sleeve acts to drag it into the required position in an instant once the engine is running. The only downsides are that it’s a switching system – there’s no gradual shift from one state to the other – and, at the moment, BMW has only applied it to the intake camshaft. Unlike the performance-oriented systems from most other firms, the VVA setup is a VTEC-style system that switches from a low-rev to a high-rev cam lobe shape, but one that’s designed for low-cost, low-performance applications. 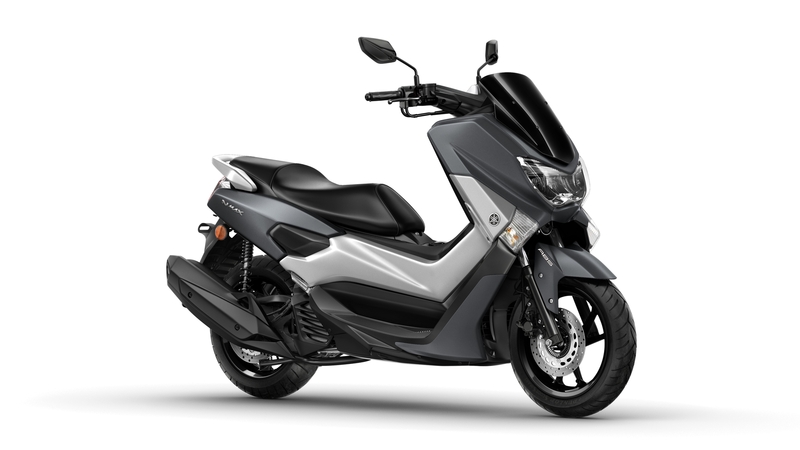 Debuting on the NMAX scooter in 2015, it’s designed for single-cam engines, with rockers acting on the intake and exhaust valves from a single, centrally-mounted camshaft. Just like the original VTEC car system, it uses a pin to connect an additional rocker arm that brings the high-lift lobe into play when needed.